Home » Blog » Posts » Whose heart is being repaired? 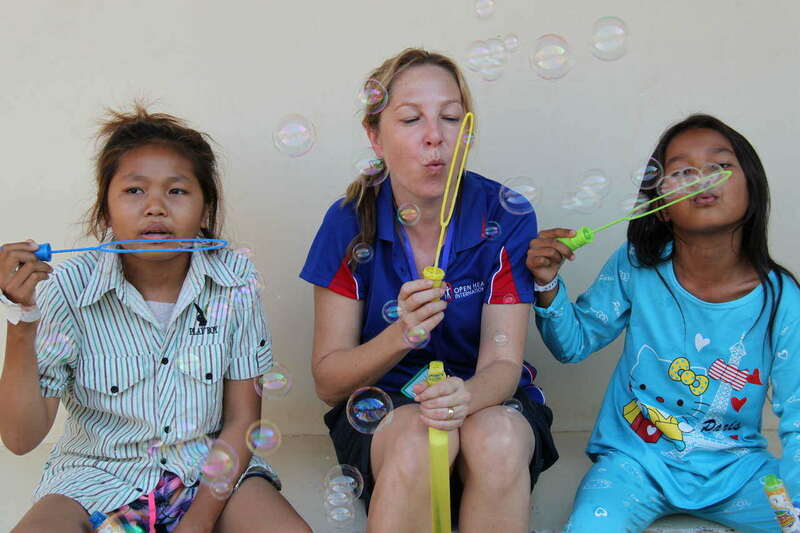 It’s hard to believe that we are already half way through our time here at Angkor Hospital for Children. We have completed seven cases so far and the team has done such a fantastic job. Three of the kids are already up and walking around, well on their way to recovery. The transformation not only physically but emotionally for both the children and their families has been amazing! A group of kids who at first were so shy and timid now have smiles from ear to ear. Some are now recovering and some are still waiting, but knowing that by Saturday all will have undergone their treatment is a big relief. All the stress in the world seems to drift away when you see them smiling and laughing through the ward and during our arts and crafts and physio sessions. As I write this, my heart is happy and I can feel the tears coming!!! This is my fist trip with Open Heart International, and I now fully understand why there are so many volunteers who continue to come back year after year. For some of us, the transformation of these children is made extra special, as it is brings purpose to the effort that was put in at home. Lucy is a “first timer” to Cambodia who has come as a ward nurse worked extra hard and organised various fundraising events. 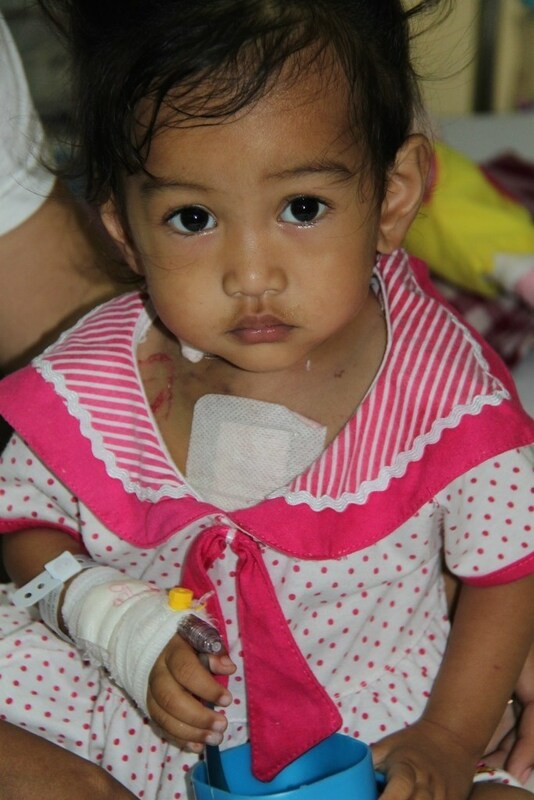 Her efforts raised money to support Open Heart International’s work here in Cambodia and so that people like Chanlina* can receive the surgery they desperately need. Chanlina is a 12 year old girl, who was diagnosed with a fairly complex cardiac condition called Tetralogy of Fallot at a very young age. 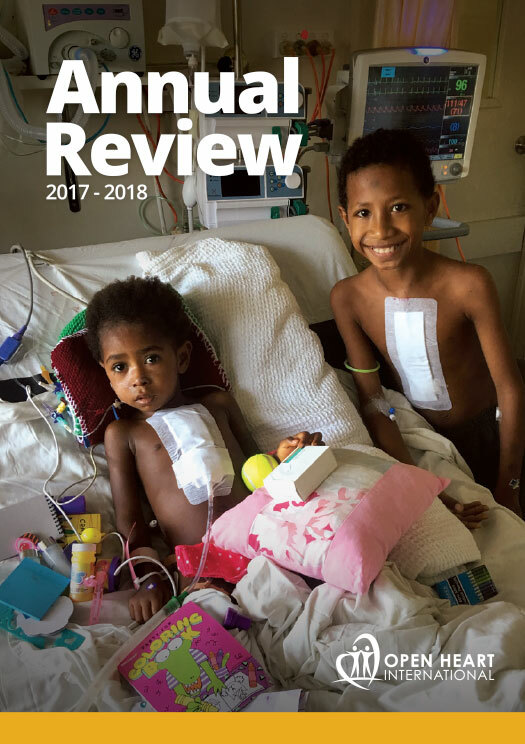 Even though her condition had been diagnosed some years before, with a large and ever growing waiting list of children requiring surgery, there was no definitive time frame on when she would receive treatment. Like so many people in Cambodia, she had to get on with her life and learn to cope. Chanlina grew up in a small village with her grandmother while her mother has been living in Thailand working to provide for their family. As Chanlina grew up, her village struggled to understand her condition and she was often teased for her lack of energy, overwhelming fatigue, clubbed fingers and blue coloured lips. Finally after years of waiting, she was able to make her way to Angkor Hospital for Children, accompanied by her grandmother, so that she could finally receive the required corrective procedure. A couple of days after surgery and she is breathing well, getting out of bed and the blue tint from her face is gone! Chanlina has every opportunity to lead a healthy and prosperous life, will be able to continue to attend school where she loves to read books and be active with her friends. As I speak to Lucy about her experience so far, it is evident that this week will be life changing, a new perspective on her nursing profession and lessons learnt that have to be experienced rather than taught…..and we thought we were the ones who would be doing the teaching!! It is truly amazing the impact that visiting Cambodia has had on many of the team members. At home in Sydney, I am a sales representative for a medical device company. I regularly interact with the Open Heart International team, and so I’m very familiar with their work, though this is the first time I’ve seen it “in action”. I’ve heard so many times how addictive coming on an Open Heart International trip can be…..I think I’m hooked! *Patient name has been changed for privacy purposes.